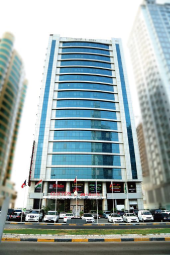 Clifton International Hotel is the First Hotel Apartments of Fujairah Located at the Heart of Fujairah City. 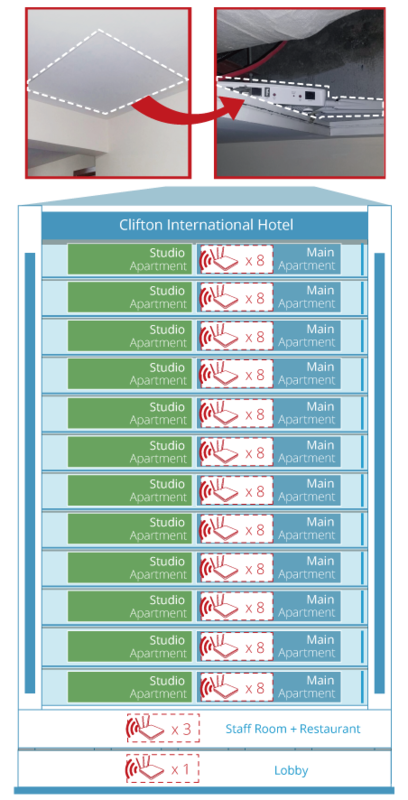 Clifton International Hotel offer some of the most elegant hotel apartments, designed to immerse guests in absolute comfort and unparalleled luxury. All apartments units are spacious & large which feature contemporary & wood furnishings. Facilities: Extra Large & Spacious Appartments with 2 Bedrooms, Maid Room, Majlis & separate kitchens. Well Furnished 156 Rooms & Suites. 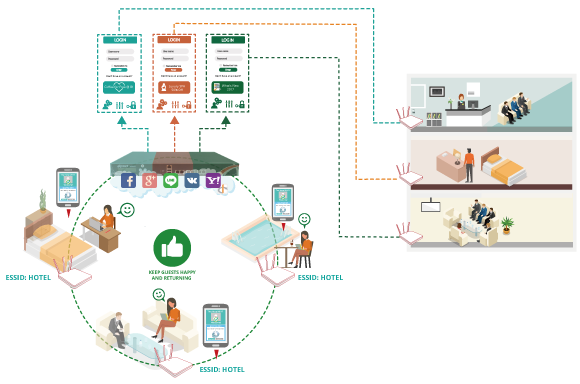 Fitness & Business Center, 24Hours Room Service. All EAP760 (total 100 units) are hidden in the ceiling space. 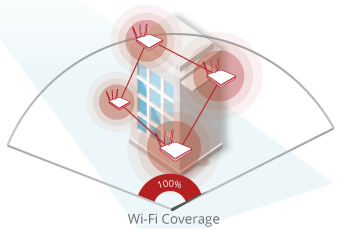 The external antennas of the EAP760 further allows each access point's coverage to be easily adjusted, preventing holes in wireless coverage. 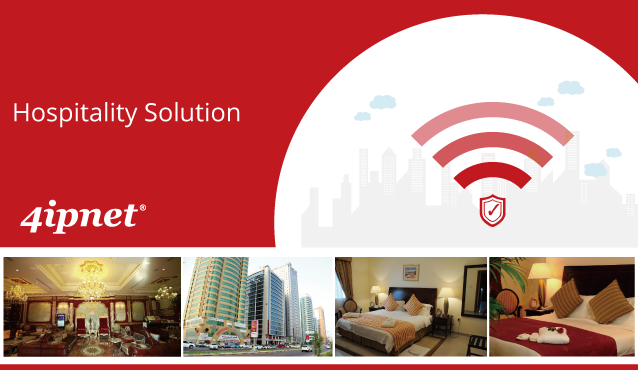 To provide complete wireless connectivity and seamless roaming across the entire hotel, Clifton deployed 8 APs on each floor with studio apartments, 3 APs for the staff room and restaurant, and 1 AP in the lobby.